Mission Microwave Technologies, Inc. (http://www.missionmicrowave.com), a manufacturer of compact, highly efficient Solid State Power Amplifiers and Block Upconverters, announced today the product release of their new 200W Ku-Band Solid State Power Amplifier BUC designed to support mobile commercial and military satellite communications, which will be on display at Booth 130 at Satellite Show 2016, National Harbor, MD. The new Titan Ku-band BUC delivers 200W saturated output power while drawing only a maximum of 850W prime power. The unit measures only 15.25” x 7” x 7” and weighs only18 lbs., representing a 50% reduction over competing units. Mission Microwave’s BUCs provide high reliability even in the most demanding applications and extreme environments. Their Ka-Band BUCs offer three selectable bands for full 29-31 GHz coverage, and their Ku-Band BUCs offer selectable standard and extended frequency bands with full band performance. Mission Microwave’s BUC products offer multiple interface options, including RS232, RS485, Ethernet, and wireless Bluetooth, complete with a simple-to-use app interface for iOS. 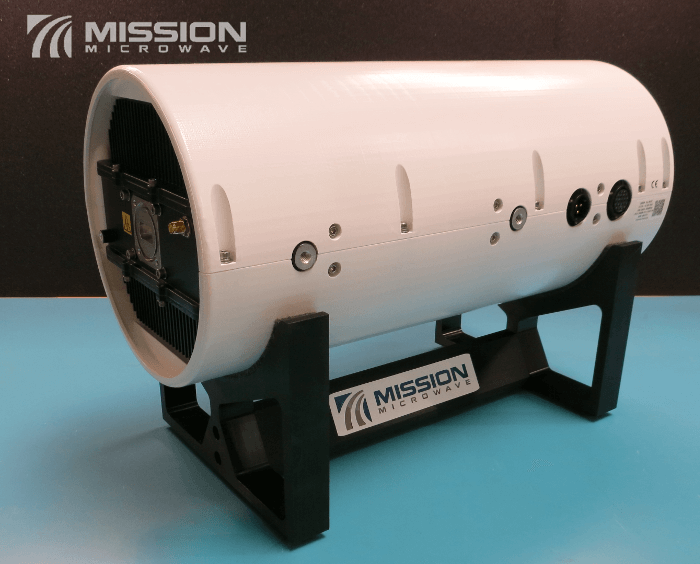 Mission Microwave's debuts new Titan 200W Ku-Band BUCThis ultra-portable 200W Ku-Band BUC is ideal for satellite communications, especially comms-on-the-move and comms-on-the-pause.